As the semester winds down, we find ourselves scrambling to find places to live for the upcoming summer and school year. In the midst of all the boxes of clothes, furniture and office supplies, the last thing we college students remember to do is stock our future kitchen with cookware, especially those of you transitioning out of the dorms. We remember to bring the plates, utensils and cups, but what about the can opener or vegetable peeler? Here are some essential kitchen tools to get you through the summer and school year without a steady diet of instant noodles and take out. Whether you’re reheating last night’s stir fry or making a bag of popcorn, a microwave is an absolute must in a college kitchen. Nothing says classy college student like scarfing down a cold batch of mac and cheese. Your stomach will thank you for filling it with yummy, warm food. Microwaves can also be used to heat up water in a pinch if you don’t have time to boil a kettle for tea or coffee. A large, quality chef’s knife makes a world of difference. Make sure you keep the knife you use to cut up raw meat or vegetables on a cutting board sharpened to minimize the risk of any accidents. Dull knives are more likely to carve into your flesh than into your chicken breast. Sliced fingers won’t impress the people you’re trying to convince that you can totally cook for yourself like a mature, independent adult. Pasta is a convenient way to make a hearty dinner or lunch without breaking the bank and is easy enough to prepare. A colander will make it easy to drain the pasta and make sure it’s completely dry before adding in your sauce. A strainer can also be used to rinse bunches of grapes or lettuce. Yes, vegetables and fruits are actual food groups we college students tend to neglect. Spatulas come in a variety of shapes, materials and colors. Metal spatulas are handy for flipping eggs and pancakes or grilling burgers and shouldn’t be used on nonstick surfaces. If you’re into baking, a silicone spatula is handy for whipping up a batch of cookies or brownies. They’re even handy for scraping out the last bit of peanut butter in the jar or cake batter from your mixing bowl. Use aluminum foil or plastic wrap to cover your left-over slices of pizza or cut-up fruits. Aluminum is great for cooking things in the oven, but don’t heat up foods wrapped with aluminum in the microwave. Covering baking dishes and pans with aluminum also makes for easy clean up. Plastic wrap is an easy way to pack your sandwiches or apples for lunch. A large pot and a frying pan are two of the most important things you’ll use on your stove. Pots can be used to make a large quantity of food for a potluck or party and can be used to make soups, stews and sauces. A cast-iron skillet puts a good sear on steaks and makes perfectly crisp bacon. Additionally, nonstick pans are perfect for making quesadillas, omelettes and other late night cheesy cravings you might have. Do not underestimate the power of a good wooden spoon. These babies make stirring marinara sauce easy and can also be used to make rice or quinoa. They won’t scratch your nonstick surfaces and don’t easily conduct heat. You’ll never find yourself with a metal-related burn when picking up the handle of a wooden spoon. 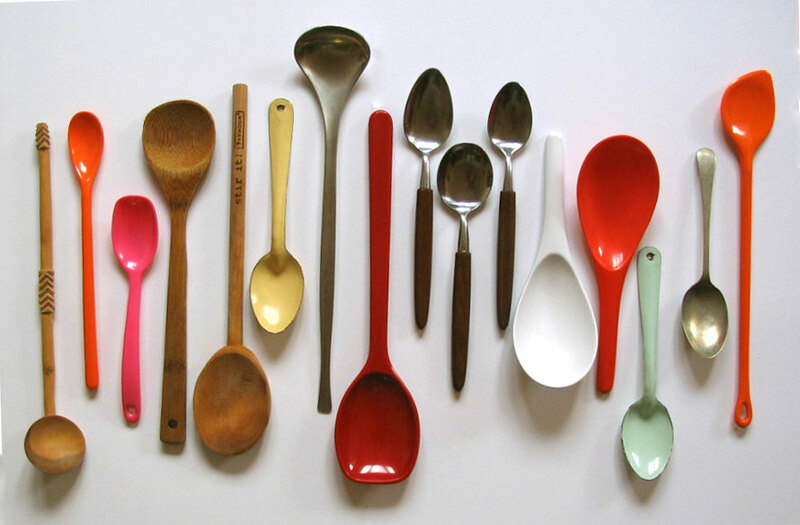 Wooden spoons are superior to metal ladles when you’re cooking with acidic foods because wood is nonreactive. If you’re the type of person who likes to learn new recipes or you’ve been obsessed with watching Tasty cooking videos on Facebook, a set of measuring cups and spoons will make your life so much easier — not all of us can be master chefs like Rachel Ray and eye-ball our measurements. These tools will make your cooking more precise instead of the usual mix everything in a pot method we’ve tried when drunk cooking. Chances are you’ll be sharing a fridge with other people and there’s limited space. It’s not cool to keep your food in large take-out boxes or pots and pans for days in the fridge. To avoid a potential roommate meltdown, consider bringing a pack of plastic containers to store your food. Tupperware is usually microwave safe and can also be stored in the freezer. Contact Angeline Nguyen at [email protected].